Another great treat for a milestone birthday, the La Crema Sonoma Coast Pinot Noir 2011 was gifted to me by my cousins and their significant others. Becca and I had occasion to laugh and share an evening with the four of them and the rest of the Heuseveldt family last month, and I’ve been holding onto this lovely red for about four weeks waiting for my birthday so I could finally give it a shot. 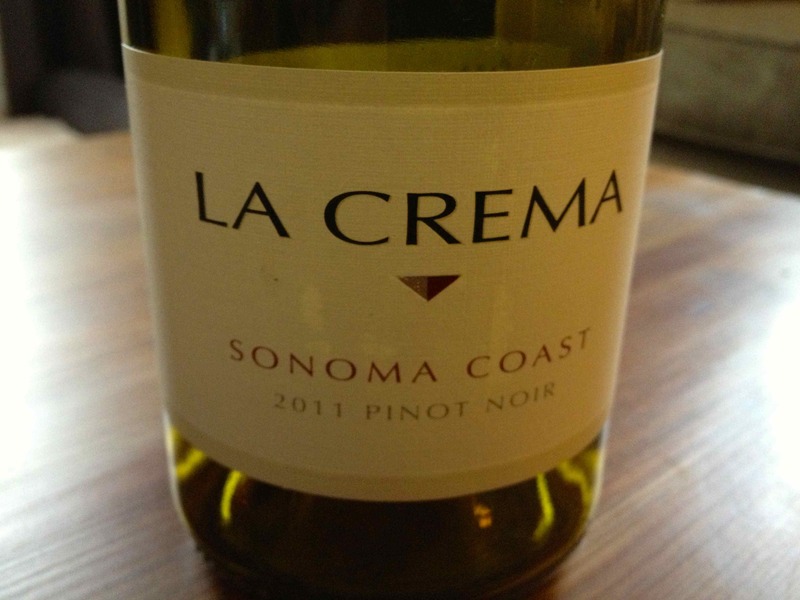 La Crema Pinot Noir 2011, Sonoma Coast, California, USA. So easy. I knew from the first pour, as I saw the lights from our kitchen bleeding all warm and cozy through our stemless Riedel glass, that this Pinot was going to be something special. Light, fruity, and a smooth finish. It perfectly accompanied a light flank steak, steamed veggies, and a couple lightly seasoned baby potatoes. That’s obviously way more technical than I could taste (I’d have to simply nod and grunt out, “Yeah, red berries.“), but I can say it was ready for business, and business was good! Thanks to you all, Erik, Laura, Adam, and Bekah!